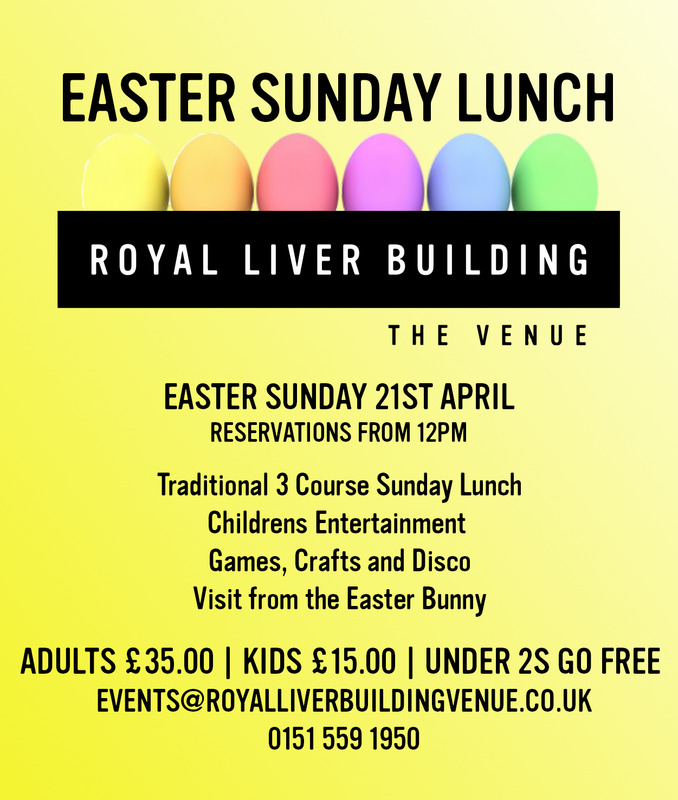 Enjoy a traditional family Sunday Lunch at the Royal Liver Building with children&apos;s entertainment and a visit from the Easter Bunny. We are sorry to announce that our Easter Sunday Event will not be taking place this year. Join us at the Royal Liver Building on Easter Sunday for a traditional family Sunday Lunch. Bring the family along for a delicious 3 course meal followed by children's entertainment providing fun games, crafts and an Easter Disco, plus keep your eyes peeled for a surprise visit from the Easter Bunny! - 3 Course Meal, Choose from a Traditional Roast or something different from our delicious menu options.